deserve their own spectacular vacation now and then. Where every dog has its day EVERY DAY! Touch on areas of the map to see photos. The five-acre Ranch is a Wonderland of Wagging Tails where dogs frolic together all day, romping over ramps, playing hide-and-seek through underground tunnels and tubes, wading in their own bone-shaped swimming pool or running behind a cascading waterfall. And all the ball-chasing they can dream of. As Time Magazine said, Forget the dog, I want to stay! We also provide a wide range of training programs to fit your needs. 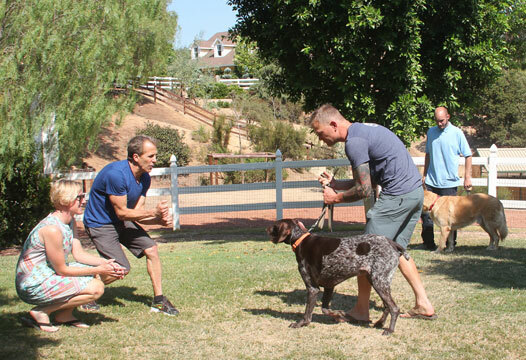 We train your dog - and you - and help you develop the skills to maintain good behavior in your dog once he or she returns home from the Ranch. Let us do the driving for you! Canyon View offers a daily shuttle to pick up and drop off your dog right to your home. If our shuttle hours are not convenient we also offer a pet taxi service (please call for rates). Before we came up with the idea for Canyon View Ranch, we searched far and wide to find a place to board our dogs whenever we traveled. Every place we checked out left us racked with guilt at the thought of leaving them there. One day, we were wandering around Disneyland when a thought occurred to us: Why don't we create something like this for dogs? We set out looking for land and found the perfect spot in the countryside of Topanga Canyon, located in the hills above Malibu. 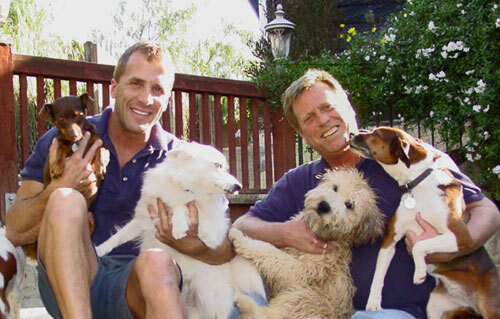 Now, 18 years later, Canyon View Ranch is the ultimate resort where people can feel good about giving their dogs a vacation while they go away on one of their own. From training to boarding we're all about giving your dog lots of love and attention, friends to play with, and hours of adventure. We love that they're all having such a great time here but to tell you the truth, we don't know who's getting more joy out of this the dogs or us! 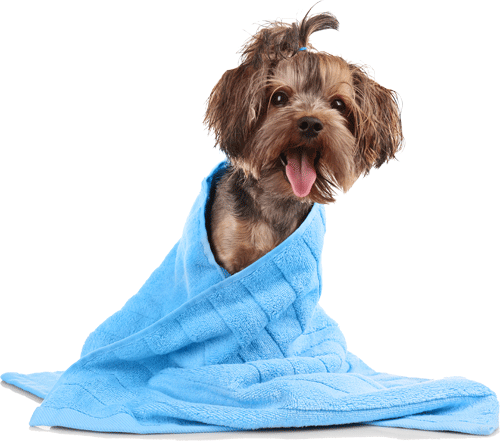 We provide grooming for dogs while staying with us so that all our guests return home clean and ready for some hugs from you. Depending on coat length & condition. Includes nail trim, ear & eye cleaning. 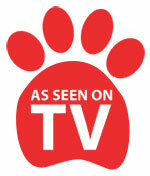 Canyon View Ranch has been featured on: Access Hollywood, Animal Planet, HGTV, Disney and more!